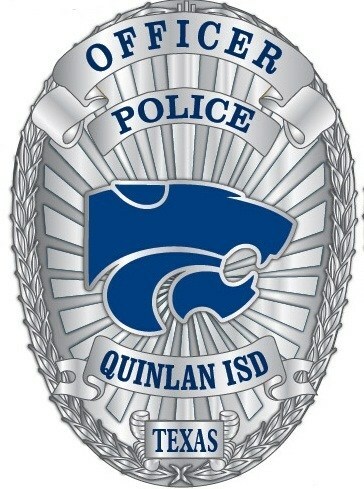 The Quinlan ISD Police Department is a fully-authorized, full service, independent police agency authorized through the Texas Commission on Law Enforcement. 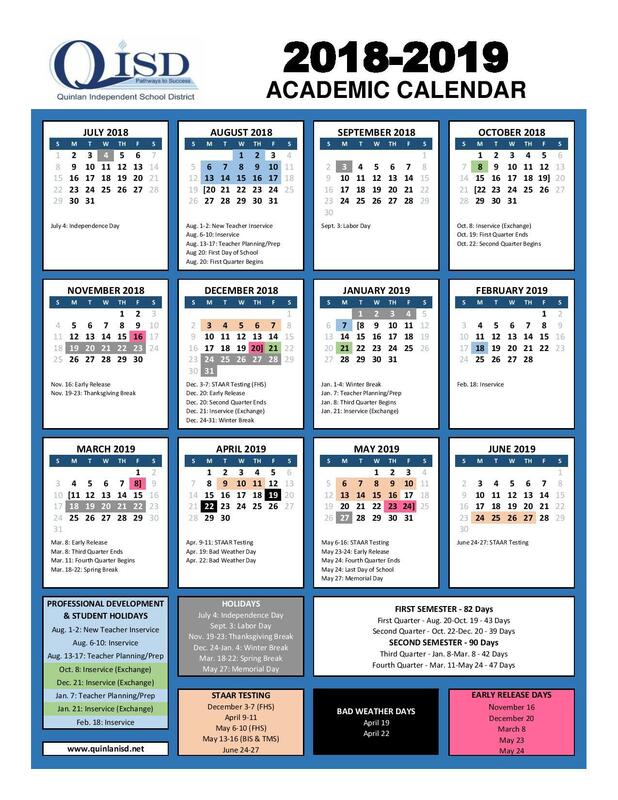 The Police Department was authorized and established by the Quinlan ISD School Board on September 11, 2000, as permitted by the Texas Education Code. The QISD Police Department is currently staffed with four full time peace officers who are assigned to different campuses throughout the district. All QISD Police Officers are commissioned by the State of Texas and have the same authority as any other Peace Officer. The Quinlan ISD Police Department has jurisdiction in all areas of the Quinlan ISD, (essentially the entirety of southern Hunt County, portions or Kaufman, Van Zandt, Rains and Rockwall Counties) and includes any location that the district owns or leases property. 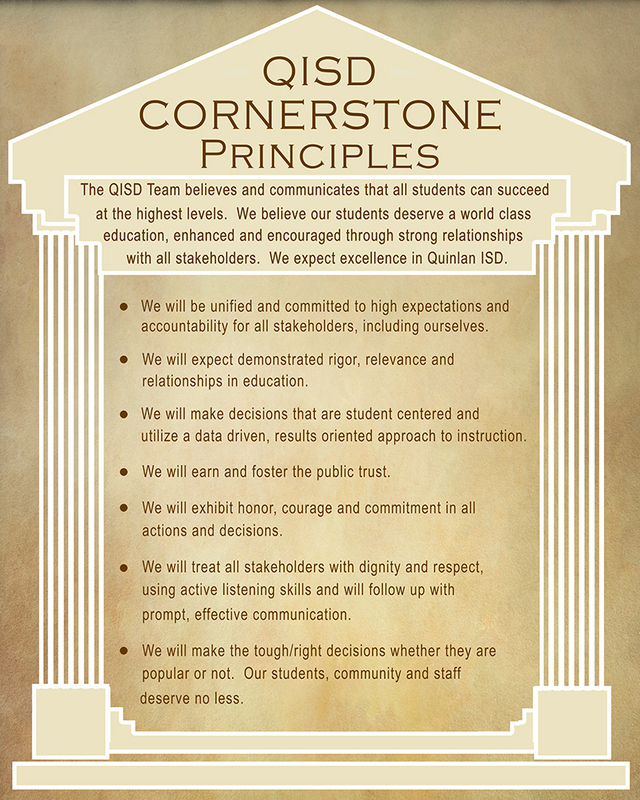 Quinlan ISD PD works closely with the Quinlan, West Tawakoni and Hawk Cove Police Departments, as well as the Hunt County Sheriff’s Office, and other law enforcement agencies with which we share jurisdiction. QISD Police Officers, like other Texas Peace Officers also have jurisdiction throughout the State of Texas in accordance with the Texas Code of Criminal Procedure. Quinlan Independent School District police officers are authorized to enforce all laws and may arrest individuals found in violations of those laws. Additionally, officers may write appropriate citations for offenses covered by State law, including offenses listed in the Texas Education Code. These citations are filed with the Justice of the Peace Court having jurisdiction.